How Long Do Urges Last? Crystal meth is an extremely addictive and dangerous stimulant. After repeated use, your body and brain adapt to the presence of crystal meth, and once you stop using, withdrawal symptoms occur. One major withdrawal symptom is an intense craving for crystal meth, which can last for years. People who have stopped using crystal meth may experience a profound urge to use the drug—even long after the drug was last used. Desire to go to old using environments or see old using friends. Reminding yourself of how good you felt on crystal meth. Strong desire to do crystal meth when in the presence of a pipe. Typically, cravings can begin within a few hours to a few days after you stop using crystal meth and can last a variable amount of time depending on your physiology, the length of your addiction, frequency of use, and amount used. Dual diagnosis refers to any co-occurring mental disorder in addition to crystal meth addiction. If you suffer from depression, anxiety, bipolar disorder, schizophrenia, or any other common mental health condition, get appropriate treatment that addresses both disorders or your risk of relapse will increase. 12-step programs: Crystal Meth Anonymous and Narcotics Anonymous use the 12 steps devised by Alcoholics Anonymous. Members typically have sponsors who help them with step work and are willing to listen with a nonjudgmental attitude. If you’re having cravings for crystal meth, your sponsor is a great person to talk to. 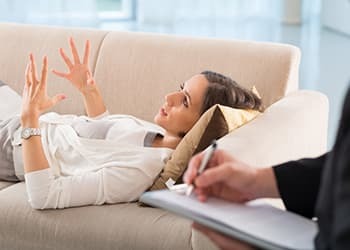 Individual therapy: Therapists often aim to change maladaptive thoughts, feelings, and behaviors and teach you coping skills, while uncovering reasons for crystal meth use. Group counseling: Similar to individual therapy, except people share their experiences and listen to others. Some people prefer a group setting, but it’s all about what’s right for you. Outpatient treatment allows you to live at home while receiving treatment to prevent relapse and fight your crystal meth cravings. Inpatient treatment: You live at an inpatient rehab facility while receiving treatment. You focus your recovery without the added stress of being in using environments or with using friends. Cognitive behavioral therapy (CBT) is often used in addiction therapy. Many of the coping skills taught in CBT can be used to help you overcome your crystal meth cravings. If you can learn to avoid trigger situations, then you can prevent or minimize cravings. Identify your triggers such as being in old using environments or hanging out with old using friends. Once you acknowledge that these are trigger situations for you, you can find a new, sober group of friends and find new places that aren’t associated with past crystal meth use. Self-talk: Be positive. Remind yourself how far you’ve come in your recovery and how much better your sober life is. List all the positive changes you’ve made. This will encourage you and help to curb the crystal meth cravings. Distraction: Do a sober activity that diverts your attention from the craving. Examples include hiking, going for a walk, gardening, creating something, meditating, playing an instrument, or playing a sport. The options are endless. Find which activity works best to distract you and use it. Talking it out: Many people find that if they confide in a friend, family member or 12-step sponsor, the cravings dissipate. Often, discussing the craving takes the power away from it. Another useful therapy that has been used in the treatment of stimulants such as crystal meth is the Matrix Model. The Matrix Model was developed specifically for the treatment of stimulant abuse. The therapist is a teacher and a coach who creates a positive environment in which your self-esteem and self-worth can be promoted. Can You Stop Crystal Meth Cravings Naturally? Exercise is a great distraction from cravings, and it’s also a natural remedy. Studies have revealed that those who exercise regularly are less likely to abuse substances.6 Exercise reduces stress, releases endorphins, and promotes a feeling of well-being. Research has found that the grape compound resveratrol can help to decrease crystal meth cravings.7 Resveratrol decreases the release of dopamine and decreases the hyperactivity of crystal meth use. If you’re craving crystal meth, try to increase the natural compound in your diet by eating red grapes, blueberries, or cranberries. Resveratrol supplements may also be similarly beneficial. Although withdrawal from crystal meth is not life-threatening, people going through withdrawal have an increased risk of suicide.10 Because of this, you should seek medically supervised detox so that you can receive the adequate care while quitting crystal meth. As with cravings, withdrawal depends on whether you tapered your use or quit cold turkey, how long you were addicted and whether you used other drugs. Once withdrawal symptoms are resolved, cravings may last for far longer due to the changes in brain chemistry. The inability to feel pleasure. The presence of a mental health condition. Amount of crystal meth used. Whether you tapered your use at all before quitting. Cravings increase in the first 3 months after quitting but decrease over time. There are many signs of crystal meth relapse to look for once you quit. 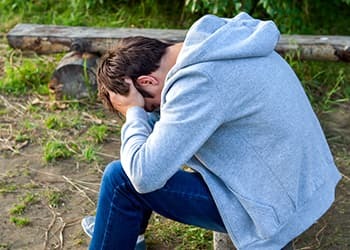 Recognizing these warning signs is extremely important since it can help you to prevent relapse before it occurs and receive the necessary treatment to continue living a healthy, substance-free life. If you recognize any of these relapse warning signs in yourself or a loved one, it’s not too late to prevent relapse. Romanticizing past crystal meth use. Loss of interest in enjoyable activities. Changes in attitude toward recovery or treatment. Reconnecting with friends who use crystal meth. Thinking you can use crystal meth once in a while without becoming addicted again. One of the most important factors of relapse prevention is attitude. If you have a positive attitude and are truly devoted to remaining clean through a number of different avenues, you are much more likely to prevent relapse. Upon completion of your initial recovery program, it’s vital that you receive aftercare. This is ongoing treatment that can last for as long as you feel you need it. Aftercare will help to dramatically decrease your risk of relapse. Group counseling: The group atmosphere can help you to continue to work on your coping mechanisms while receiving support from other people and the group facilitator. 12-step programs: Fellowships such as Crystal Meth Anonymous and Narcotics Anonymous provide you with a trusting and supportive environment in which you have a sponsor you can confide in. You can always call your sponsor if you’re having a craving for crystal meth. Individual therapy: Receiving therapy after your treatment program can allow you to expand on the coping skills and emotional regulation skills you learned in rehab. Outpatient treatment programs: Some people in recovery transition into outpatient treatment after completing an inpatient program. This allows them to live at home while still receiving intensive treatment. Sober living home: Also known as halfway houses, these are an alternative to returning home after inpatient rehab. They provide a sober environment in which the recovering crystal meth addict can receive support. Researchers have been working on a vaccine that could help prevent crystal meth relapse by blocking the stimulant’s effects on the brain. In theory, if you have a craving for crystal meth and succumb to the cravings, you wouldn’t experience the high and thus, would be less likely to use the drug in the future. University of Washington, ScienceDaily. (2008). Methamphetamine Addiction Mechanism Discovered, Explains Why Cravings Last So Long. Cully, J.A. & Teten, A.L. (2008). A Therapist’s Guide to Brief Cognitive Behavioral Therapy. Department of Veterans Affairs South Central MIRECC, Houston. National Institute on Drug Abuse. (2018). The Matrix Model (Stimulants). Kish, S. (2008). Pharmacologic mechanisms of crystal meth. Canadian Medical Association Journal, 178(13), 1679–1682. Smith, M.A. & Lynch, W.J. (2012). Exercise as a potential treatment for drug abuse: evidence from preclinical studies. Psychiatry, 2:82. University of Missouri-Columbia, ScienceDaily. (2013). Natural compound mitigates effects of methamphetamine abuse. Wang, G., Shi, J., Chen, N., Xu, L., Li, J., Li, P., et al. (2013). Effects of Length of Abstinence on Decision-Making and Craving in Methamphetamine Abusers. PLoS ONE 8(7). Zorick, T., Nestor, L., Miotto, K., Sugar, C., Hellemann, G., Scanlon, G., & London, E. (2010). Withdrawal symptoms in abstinent methamphetamine-dependent subjects. Addiction, 105(10), 1809–1818. Diagnostic and statistical manual of mental disorders: DSM-5. (5th ed.). (2013). Washington, D.C.: American Psychiatric Association.